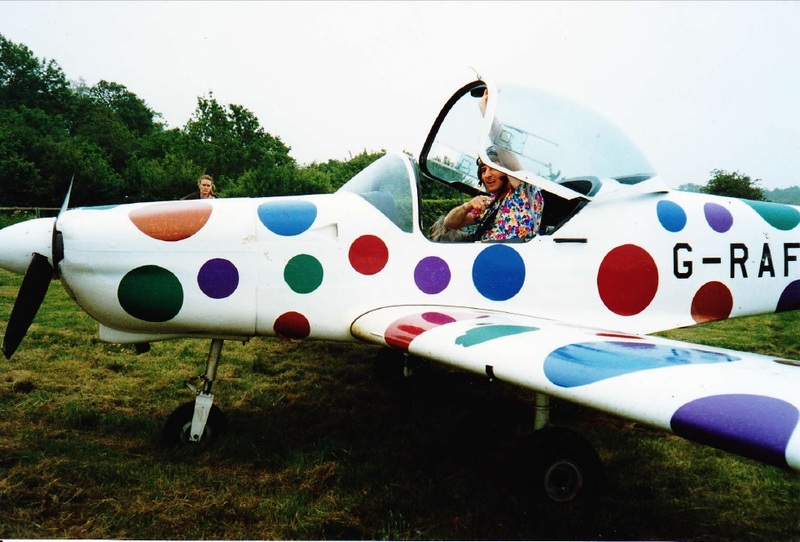 I had a super Pippin puppet stand in made by Brian Moore for the flying sequences!and pilot John somebody had to wear a wig and dress to look like Aunty Mabel! 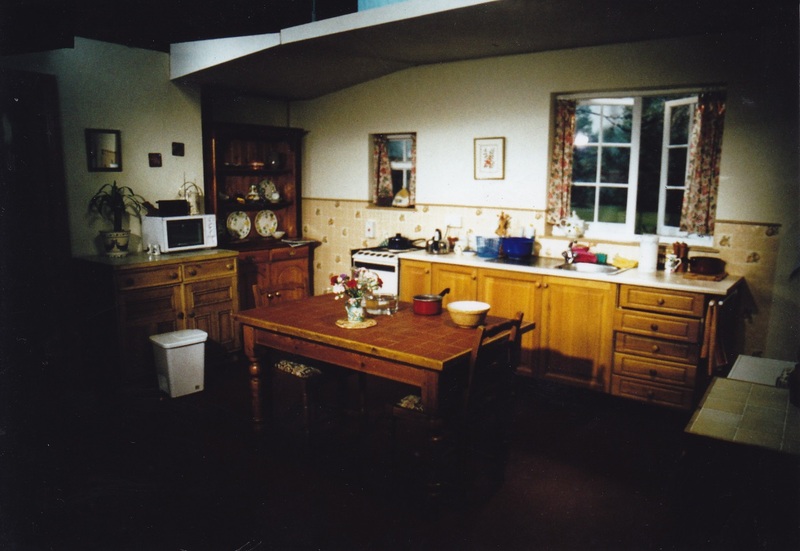 The following two series were taken on by producer Liz Bennett's Tricorn Productions and we turned to using a soon to be demolished, location bungalow at Harefield, rather than studio interior sets. 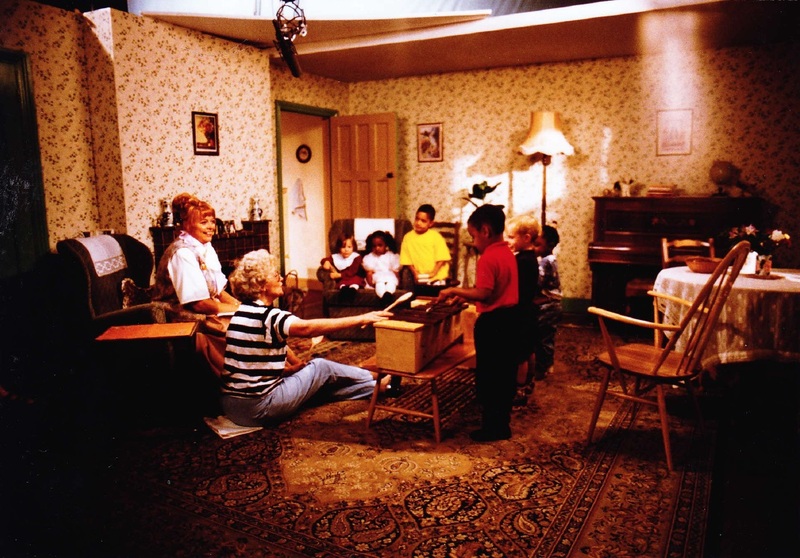 Aunty Mabel's living room for series 1. subsequent series we used a different location bungalow not the initial one at Denham airfield. Note: This was using a studio interior complete with bathroom and sure enough the studio floor got flooded.See also the rather obvious puppet dog,with rotating head, in the flight sequence!